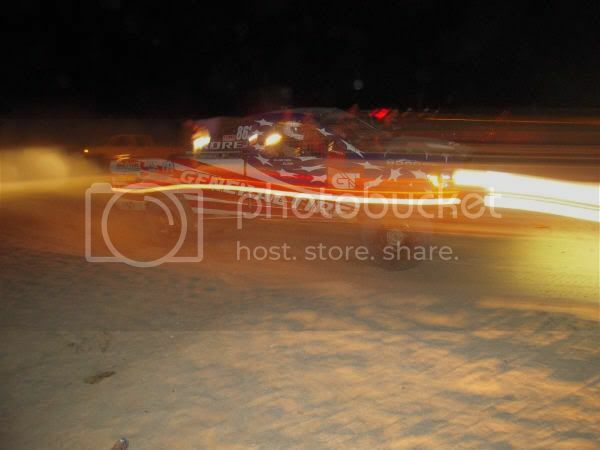 220 was indeed the dry lake bed, but alot of pits so I got lots of pics of them stopping, fueling, and taking off. 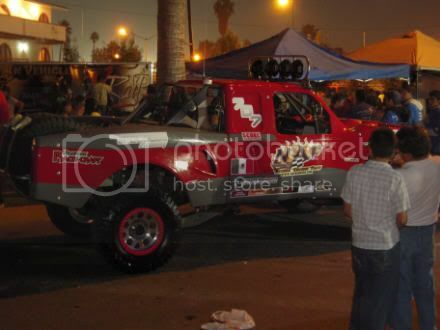 All the baja pics were at night so there not hte best, but ill get them up later! I wonder what "Depto. de Limpia" means? Doesn't sound good. Depto. De Limpia means, Department of Cleaning I believe? anybody here speaka the Espanol? Lol. 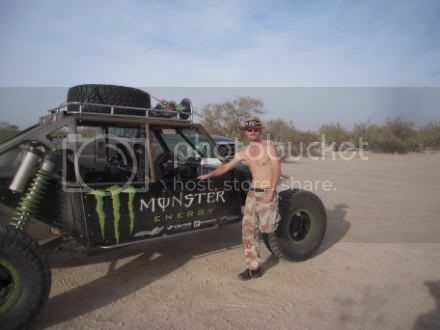 Monster prerunner buggy. Robby Gordan uses to pre-run course. 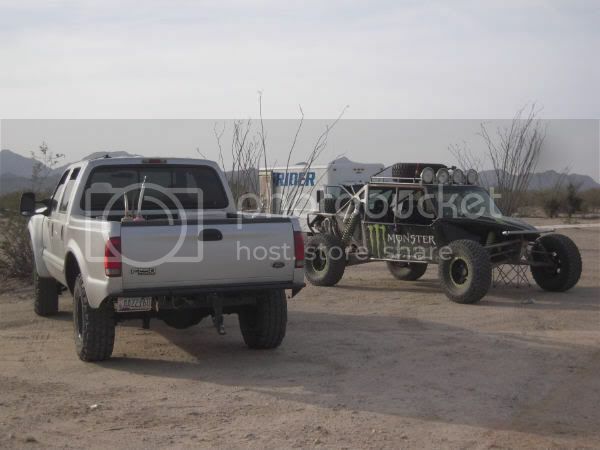 My Ford F250 in the Monster Robby Gordon and Andy Grider pit. Yeah, we hung out with them while we waited for the trohy truck to make it's way through the course. 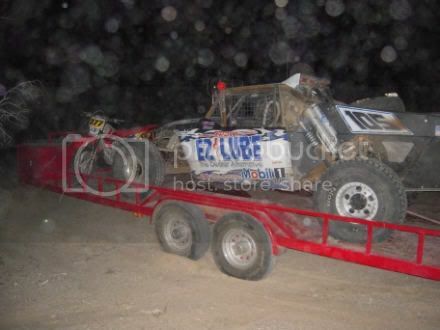 Unfortunately mechanical problems resulted in a DNF. This picture came out kinda cool. I held the camera still while the truck drove past. 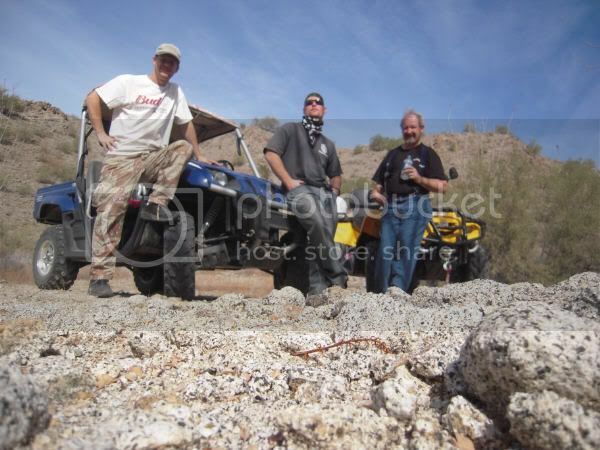 And this is myself, my brother who drove down from Utah, and Walt arizonateacher out on a ride. 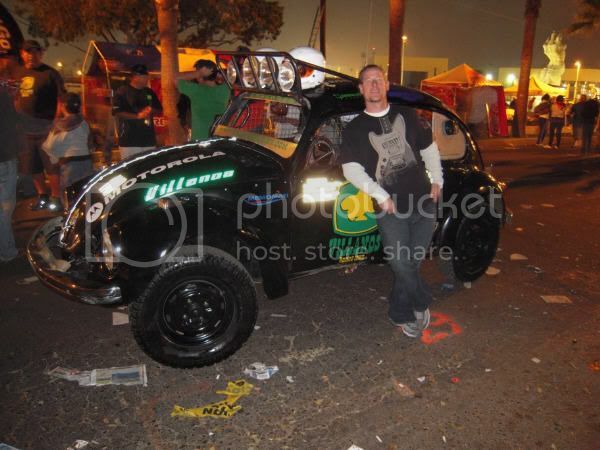 We had a great time, next up is the Baja 250 in San Felipe March 13 to the 15th. I thought about trying to enter it, its a long shot tho. 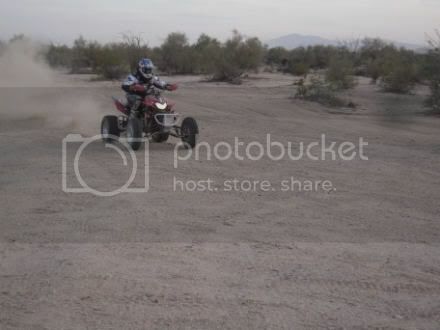 Id run a dirtbike if I did! Who had that nice baja from my homeland Washington!? IF I knew that, I would have left him a note!! DANGIT! Yeah i saw that you were from Kennewick. My Uncle lives in Mesa, Wa about 26 miles north of Pasco. and i have family scattered around the Tri-Cities area myself. Been tubing/fishing on the Snake and Columbia rivers around that area before. Move back! I need some help making a WaBaja! LOL. 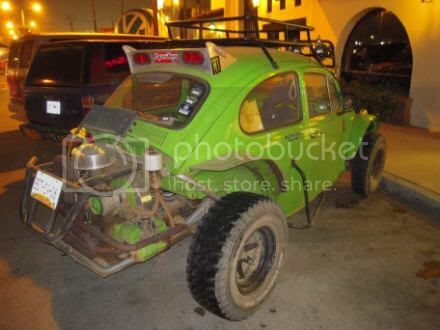 Anyone in your family up here into bajas? YES actually, my uncle in Mesa, Wa has a MANX he's working on, slowly but surely, he never has any time to work on it but he's trying. 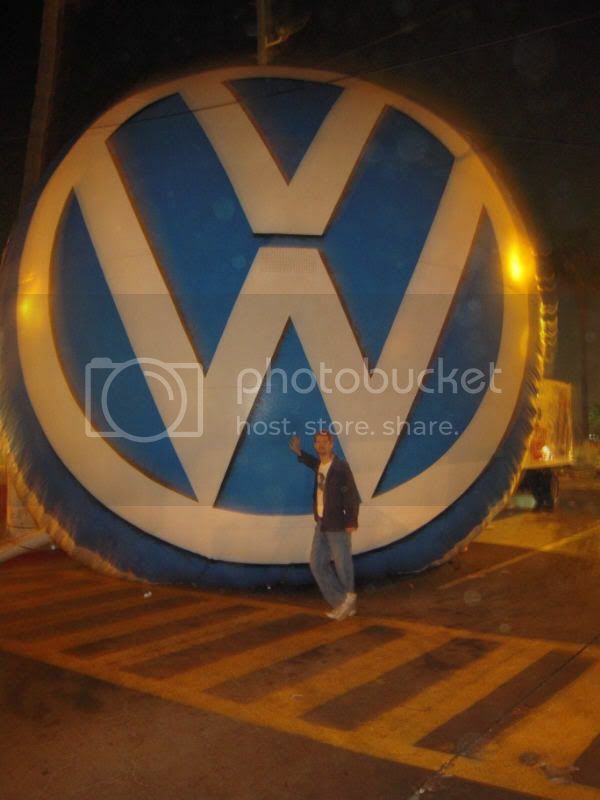 told him about the website but i don't expect him to be one anytime soon, he's fairly new at VW stuff so he probably wouldn't be much help to you though... sorry man... BUT HEY! i'll come up and visit you howzat! ?